Historical towns are not simply tourist destinations or gigantic displays. Most historical towns are still used as living quarters. Thus, to preserve them means protecting not just the vestiges of the past but also supporting the modern-day their modern-day residents. Cultural treasures and lives are both at stake, and This makes the preservation of historical sites challenging. King’s Lynn, a town in Norfolk, England is both a historical town and a living community. Because of flooding threats, the government took steps so this heritage town can be preserved for good. Historical records show that King’s Lynn has always been threatened by flooding. In 1953, Flood Control International says, King’s Lynn went through a heavy storm that was couples with flooding. The said flooding incident was surpassed by that of 1978, when a storm surge swept through the entire village. 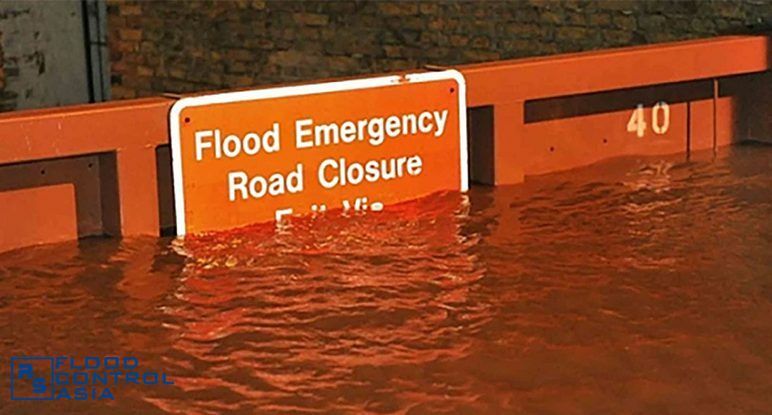 According to Flood Control International, the River Ouse overflowed in 1978, flooded the entire town, submerged the heritage district, and destroyed a million-pound-worth of properties. Thus, the government moved to get the whole town protected with flood barriers. 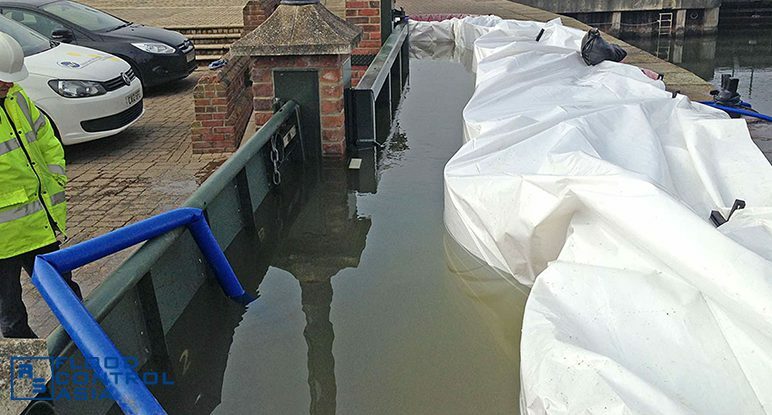 Flood Control International says 60 floodgates were erected on various parts of the town in the hope of preventing a future devastating flood from reaching the town. 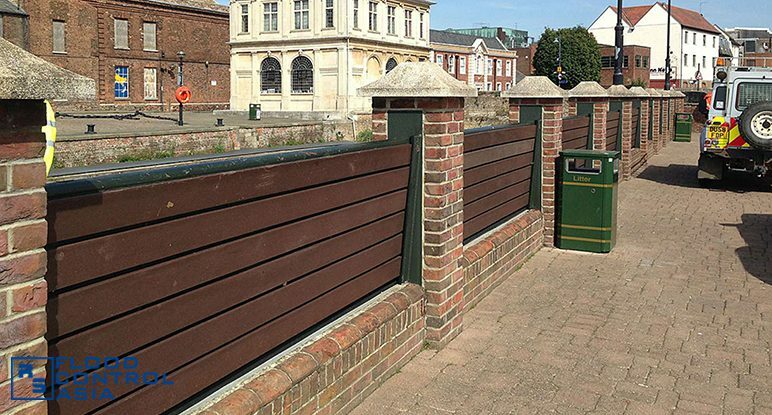 However, on December 2013, 30 years have passed since these flood barriers were erected. After such a long time, some of the barriers were no longer in the perfect condition. Some needed repairs, while some must be fully replaced. 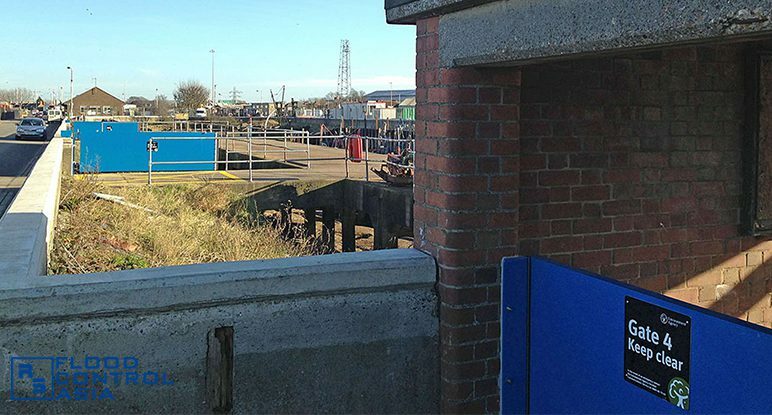 The United Kingdom’s Environment Agency Flood Control International to restore damaged flood barriers and to replace those beyond repair. 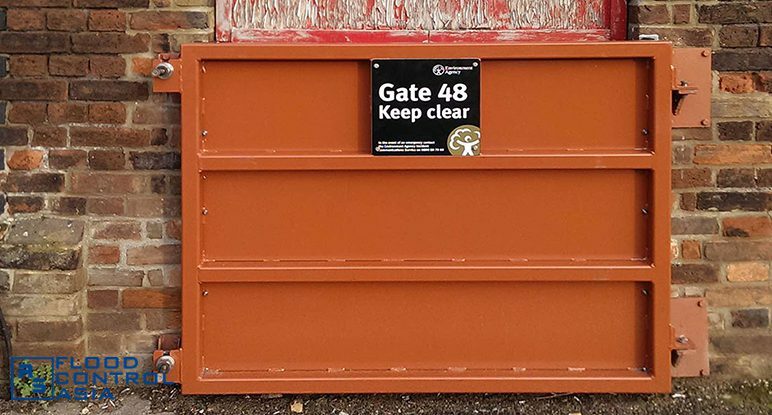 Of the 60 gates, 30 were replaced. 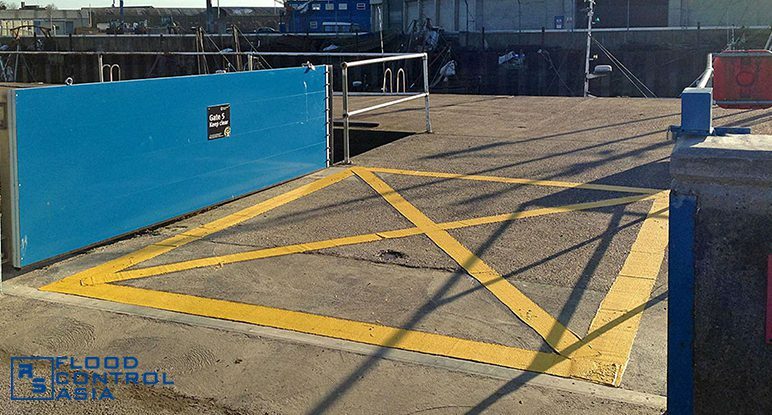 New sets were put in their place – 15 of them were floodgates designed for vehicle entrances. 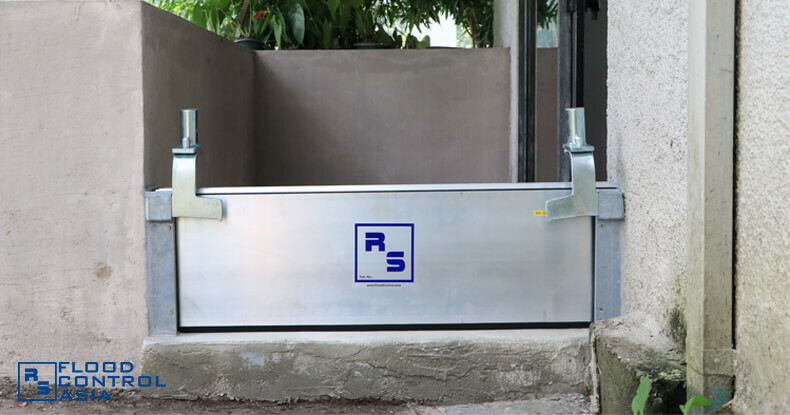 These 15 floodgates were the lift-hinged type, which can be operated in a simple “raise-swing” manner. 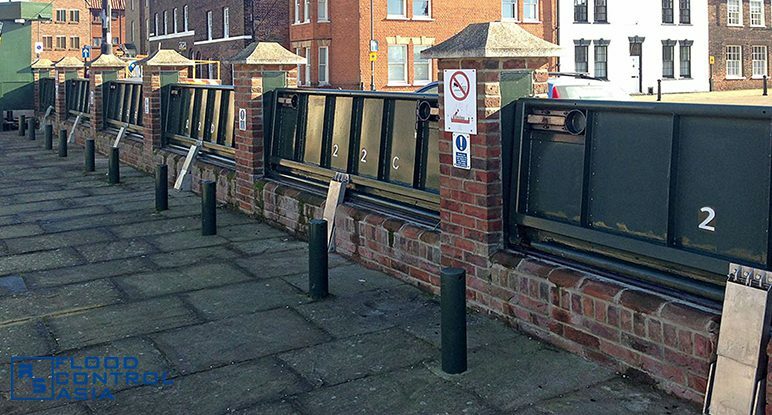 The other flood defenses were RS Demountable Flood Barriers, which can be removed from their channels when not needed. 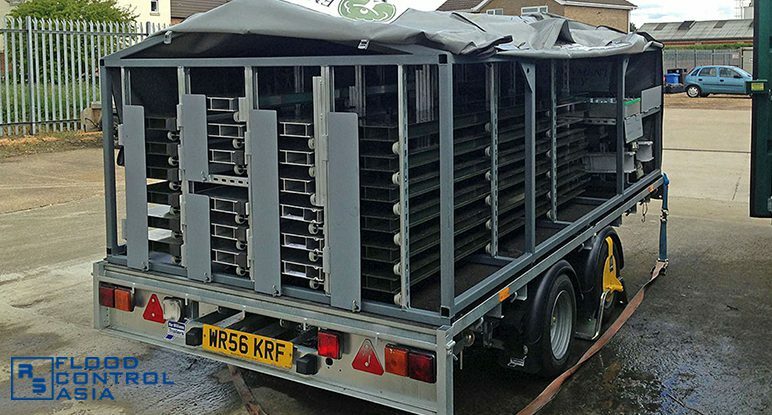 The demountable flood barriers were handed down to local operatives in wheeled containers. 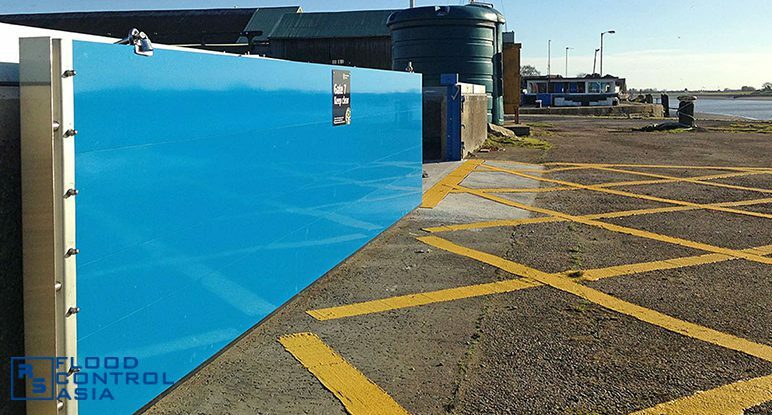 These containers would be used to quickly transfer the flood barriers from their storage houses to the areas of deployment. The floodgates that were not replaced underwent a thorough repair. Some of them had their seals replaced, while some were provided with new hinges. King’s Lynn is a historical town that has always been flood prone. In 1978, a devastating flood ravaged the entire town. This prompted officials to erect 60 floodgates throughout the entire town. After 30 years, the floodgates needed repairs and replacement. Flood Control International repaired 30 of the existing 60 floodgates. The remaining 30 were replaced by new sets. 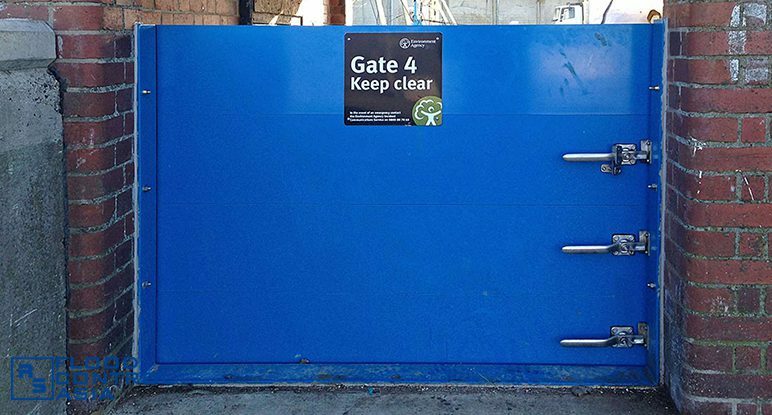 Fifteen of these new ones were of the lift-hinged type, which were designed to protect vehicle entrances. 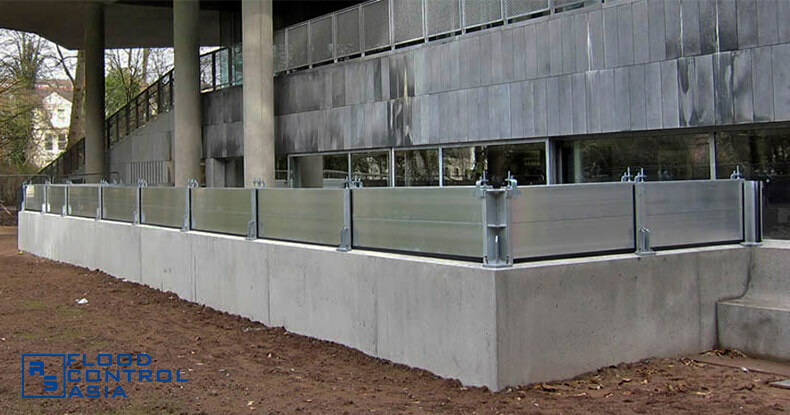 The rest were demountable barriers, which can be removed when not needed. 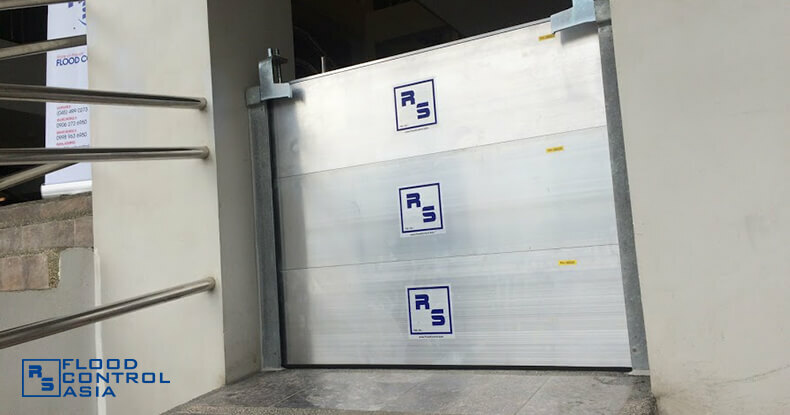 The barriers were contained in trailers, so they could easily be transported from their storages to their designated deployment area. 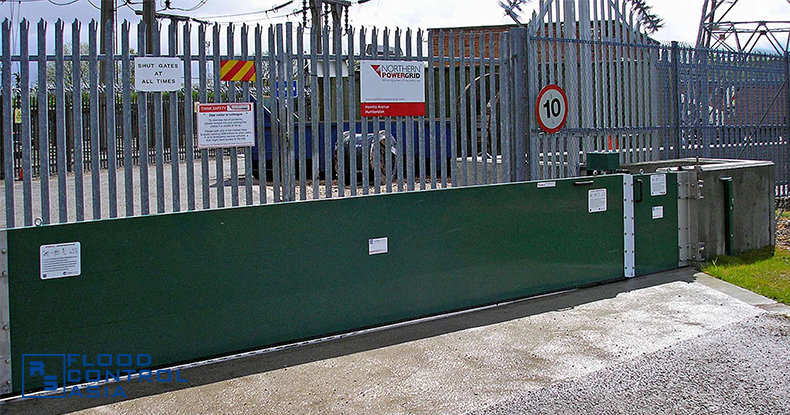 The newly installed flood barriers can serve the community for another 30 years.